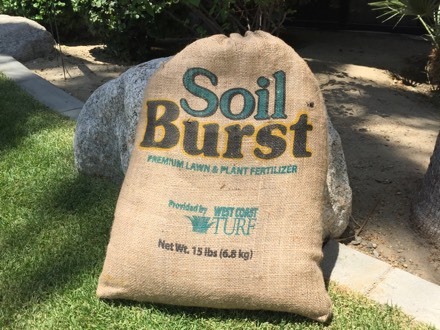 Soil Burst 4-4-2: PREMIUM PLANT FOOD PRE-PLANT STARTER -- Free delivery sod purchase! Turfgrass pre-plant. Apply on soil prior to installing turf, great for fall/spring transition, flowers, vegetables, trees, and shrubs year round. *Note: Available for pickup at our sod pickup locations or with delivery of your sod order only.